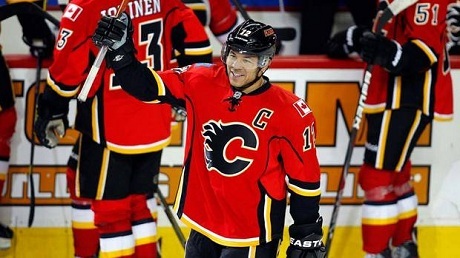 Saturday was a milestone night as Jarome Iginla reached his 500th NHL Career Goal in a 3-1 victory over the Minnesota Wild. Iggy’s goal deflected off a Minnesota Wild defensemen’s skate and ended up being the game winner. Meanwhile, Shane Doan of the Phoenix Coyotes recorded his first career NHL Hat Trick in style!